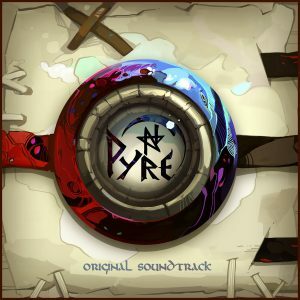 It was initially very hard for me to write about the soundtrack for Pyre. At first, I thought it was just that life was busy, I was having trouble focusing, or some part of the soundtrack wasn’t really grabbing me. The more I listened to it, the more I realized that wasn’t quite right, though. And no, I’m not usually given to self-reflection in the summary paragraph of a soundtrack review, so believe me when I say that there’s a point to all this. The point is that when I sat down to write this opening paragraph, I realized that the problem was that I hadn’t experienced the soundtrack in the correct manner to form a good opinion of it. Let me explain. You see, music has always been an integral part of the experience of playing anything developed by Supergiant Games. In fact, it’s hard to talk about any of the three games in Supergiant Games’ catalog without talking about their respective soundtracks. In each game, the soundtrack is so tightly woven into the story and gameplay that it is nearly impossible to separate the two. And while this is a video game music site and as such any reviews should be taken independently of the games themselves, the experience of processing a soundtrack for review should, by nature, involve consideration of the composer’s intentions. Sometimes music is a backdrop, sometimes it is meant to inspire emotional resonance, and when it all comes together sometimes a very good soundtrack can bring back the feelings that you felt when playing the game long after the game has been finished. 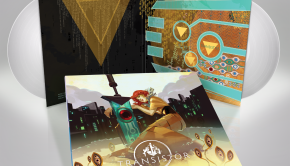 In the case of Bastion and Transistor, though, I would say it is actually more or less impossible to experience the soundtrack and the game on any kind of separate level from each other. Why I expected Pyre to be any different, I don’t really know, but the end result is that I had to play at least some of the game to give Pyre a proper listen in the intended manner. Pyre, the game, begins with acceptance. You, the player, are dying, and there is not much you can do about it other than accept that this is what is going to come to pass. Soon, however, you are found and brought along on a journey that has the potential to change your lot in life. It is that journey that is the framing device for the OST. Pyre, the soundtrack, begins with the folk ballad ‘In the Flame’, which promises the telling of a story in which signs from the stars lead a group of exiles on a journey of redemption. Korb and Barrett’s vocals weave together like the strands of a tapestry, as if they were troubadours using their music to spin a tale to a crowded tavern. The next two tracks that follow represent the true opening of the tale that the soundtrack tells. ‘Downriver’ and ‘Downside Ballad’ combine to create an atmosphere that is at once calm and vaguely unsettling. The acoustic guitars promise reset and relief, propelled in uneven steps by Korb’s signature echoing drum kit, while the mid-track key changes leave the sensation that something is not quite right in the calm. Perhaps it is not the calm of rest, after all, but the calm before a storm. This calm is dispelled mid-track as the drums pick up a definite backing rhythm reminiscent of a slow, plodding walk. The tempo is picked up then by ‘Path to Glory’, which blends a sort of Celtic folk guitar style with a backing drum kit sample that skews toward industrial or dubstep. If the first three tracks were setting the scene, this track is the one that Korb uses to define the central style of the album. It’s a style that mixes some of the styles of Bastion and Transistor, and while it doesn’t quite click in this track, it doesn’t quite not click, either. It’s catchy, and it definitely tells the listener that Korb is going to blend the new with the familiar. 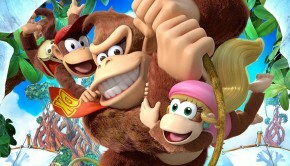 Early in the adventure, several characters join the group in their journey. One of those is the Moon-Touched Girl, an enigmatic and almost aetherial character who decides to tag along with the group. Her theme, the aptly-named track ‘Moon-Touched’ evokes that feeling through guitar melodies that are reminiscent of the night sky. The key changes constantly, representing the ever-changing nature of the character herself. When you first meet her, after all, she has no name, only the memory of a syllable that she believes represents her. Everything about her is constantly malleable, and her theme represents that feeling well. It’s unclear to me when, exactly, harpsichord music evoked imagery of confinement and death, but that is exactly the feeling that comes to mind when listening to ‘Life Sentence’. It’s a song that is very reminiscent of a funeral dirge, and the minimalism of the song in comparison to other tracks on the soundtrack reinforces that feeling of emptiness and dark. The same feeling is evoked in a later track, ‘Night Howlers’, though in this case it is used as an undertone to the industrial drum kit beat and bass line that is the main focus of the song. The harpsichord and drum kit combination return in ‘Grand Ceremony’, and the dirge-like melody from ‘Life Sentence’ appears with a dubstep backing in ‘The Old Ways’. It’s sort of a constant little reminder of how deeply the concept of exile, confinement, and death permeate the world of Pyre. This theme continues with ‘Mourning Song’, which is another showcase of how well Korb and Barrett have developed their harmonies with each other over three soundtracks of collaboration. This song is a haunting pseudo-western folk ballad which is astonishingly reminiscent of the song ‘The Hanging Tree’ from Hunger Games. That song, though, serves to showcase the meaninglessness of death in a world without hope. In Pyre, though, the world is not without hope, and ‘Mourning Song’ shows that while death is still very much a presence in the world, the ending of a life should be treated as significant and life itself should be celebrated. Even with the bleak setting and the thematic auditory references to death, there is something about the world and the characters that resonates pure determination to live. The characters are not in a good situation at the beginning, and even though they could easily lay down and give up, there is something driving them. There is an inherent will to live that courses through everything they do. 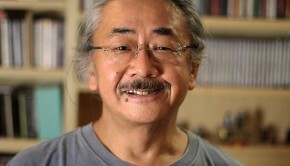 That determination is present in the song ‘Surviving Exile’, which has a driving constant tempo reminiscent of a train. Once the team of characters picks up speed, the song seems to say, nothing can stop them until they reach their destination. This destination is revealed by a book that only the player can read. It was written by an ancient group of eight scribes and details the locations of several rites that one most undertake in order to win their freedom from exile. The theme of the book, ‘Eight Scribes’, has an air of mystery about it. It has the same constant driving tempo as many of the other songs in the soundtrack but also adds in a feeling of curiosity and exploration of the unknown. It seems to say that by moving forward, the mysteries of the world will be revealed in due time, and that every step forward is progress toward that eventual goal. Most of the soundtrack stays with the general theme that blends a sort of western or folk overtone with electronic or industrial drum machine rhythm, but there are a few songs that wildly deviate from that. Most notably, ‘Thrash Pack’ is a punk jam in the style of The Ramones that deviates from the rest of the OST so much that it’s obvious that it references one specific area or character. Even within the context of the rest of the soundtrack, Korb has ways of subtly experimenting with style. For example, ‘Flutter Fly’ incorporates a floating, weaving medley through the familiar guitars and drums, and ‘Glorious Tradition’ adds the percussive style of a march to familiar chord progressions and key changes used throughout the album. It demonstrates Korb’s versatility and also his restraint when sticking to a theme, and even the few songs that seem out of place just prove how tightly-woven the rest of the soundtrack is. Every story has an ending, of course, and this one is no different. The ending track, ‘Bound Together’, is a folk ballad that showcases Korb and Barrett’s amazing ability to harmonize with each other and weave a tale for an audience. In the end, they sing, the heroes have reached the end of their journey and their exploits must be remembered in song. Oral tradition, after all, is very important in the world of Pyre, as there are not many people who can read. Therefore, ending the story by immortalizing the heroes in folktale is a wonderful way to wrap up the journey for the listener as well. It’s also important to note that even with the bleak setting, the ending is hopeful and celebratory. Everyone involved in the story, the pair sings, stayed true to the end, and thus the journey was completed. Just like other soundtracks in Supergiant Games’ library, Pyre is intended to be more than just the score of the game. It is meant to be an integral part of the storytelling and characterization even more than a lot of other soundtracks are. Should it be considered separately from the game? I don’t know, but I know that in this case, I couldn’t separate them. I at least had to play a couple hours of the game to get a feel for the main characters, the setting, the art style, the writing, and the way the music complemented all of these things. So was it successful? Mostly. Even when he’s sticking to his tried and true style, Korb tries new things or old things in new ways. The deviations from his established style show that Korb has made a conscious stylistic choice with his music even if his talent can extend to other styles as well. Ashley Barrett’s vocals are, as always, a beautiful and welcome addition to any song. And yet, there are things that don’t quite work. The drum machine seems a bit over-utilized sometimes and while I respect the experiment, I can also respect that in some cases the experiment doesn’t work. The explorations into other styles sometimes make the soundtrack seem a little disjoint, too, even though I’m glad those explorations are present. All in all, Pyre is a solid third entry in Korb’s Supergiant Games discography that plays around with style and substance enough that even when it doesn’t work, I can’t help but be glad it exists. Posted on November 7, 2017 by Greg Fisher. Last modified on November 7, 2017.